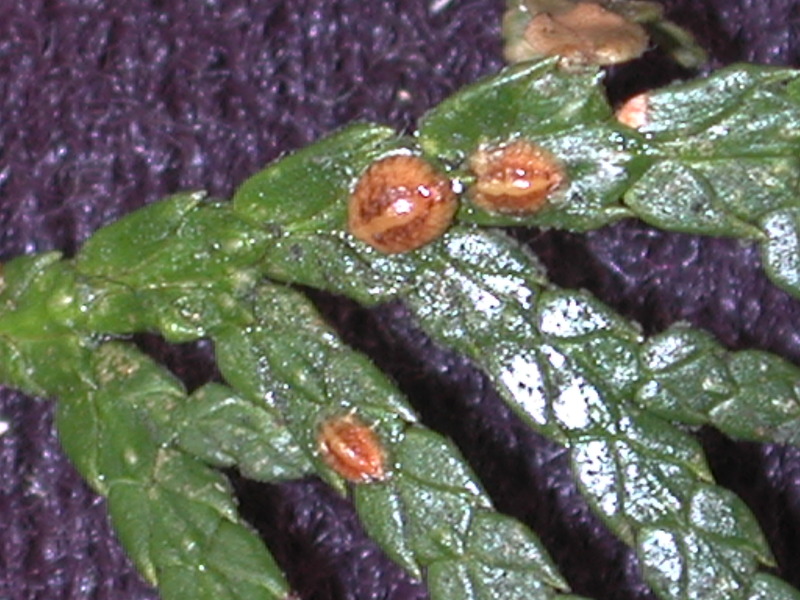 Pest description and damage Females are semiglobular, brown or reddish, and occur at the base of new shoots. They tend to be very inconspicuous, as they may be partly hidden by the bark and may resemble buds. Lower branches often are infested heavily and may be killed, while upper branches are much less affected. Spruce bud scale produces a large amount of honeydew which often is covered with black sooty mold. They infest various species of yew, and Alberta and Norway spruce.